People who succeed in business, industry, education, and life in general have often developed a strong sense of self-discipline and the ability to lead and motivate others, as well as a well-rounded level of maturity. The Marine Corps Junior Reserve Officers' Training Corps (MCJROTC) program provides young men and women a well-grounded environment that fosters the development of self-discipline, self-confidence and the personal leadership skills that can help them to become successful students as they cross the bridge into adulthood. 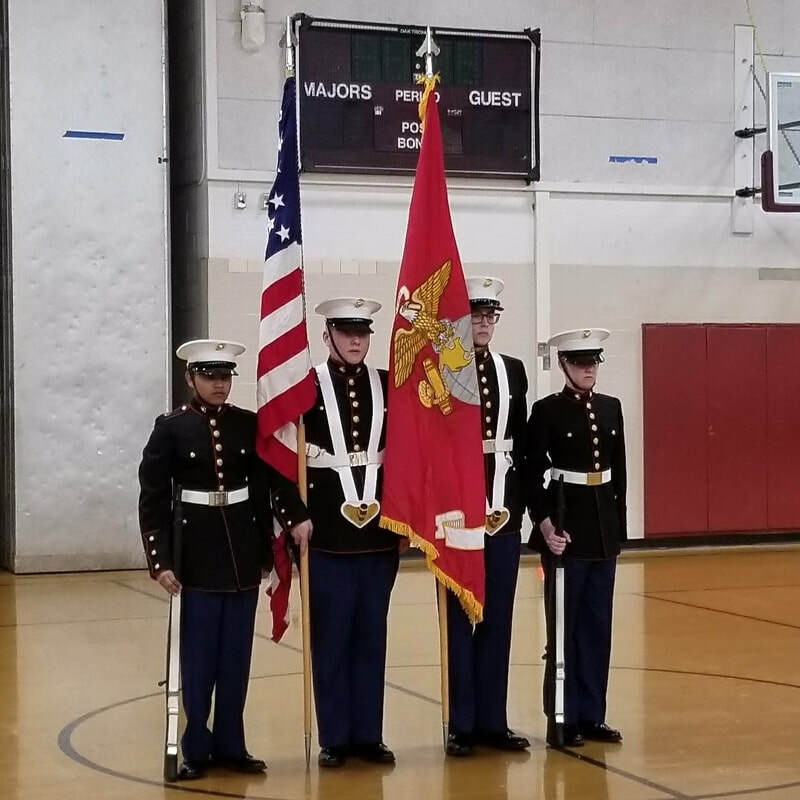 The MCJROTC curriculum and special activities are designed to help develop the leadership traits of each student regardless of which post high school career path they intend to follow; college, business or military service. These activities include weekly physical fitness training, Close order Drill, and numerous field / orientation trips to local military bases and monuments. WHO GAINS FROM THE MC JROTC? - Develop informed and responsible citizens. - Teach elements and requirements for National Security. ​- Enlighten about career and educational choices. WHO CAN BECOME A J.R. TUCKER MC JROTC CADET? Candidates for enrollment must be good citizens, be of good moral character and in good physically shape, be at least 14 years old, and live in the J.R Tucker H.S. district (or obtain a ​variance). Most importantly they must possess a genuine desire to be part of a unique high school experience. An overall C average must be maintained to remain in the program. A variance may be applied for if out of J.R.Tucker district and your school does not provide a JROTC program. Whether or not our Cadets follow high school or college with service to our Great Nation they will be better citizens for having been part of this program. WHO ARE SOME OF OUR CADETS? 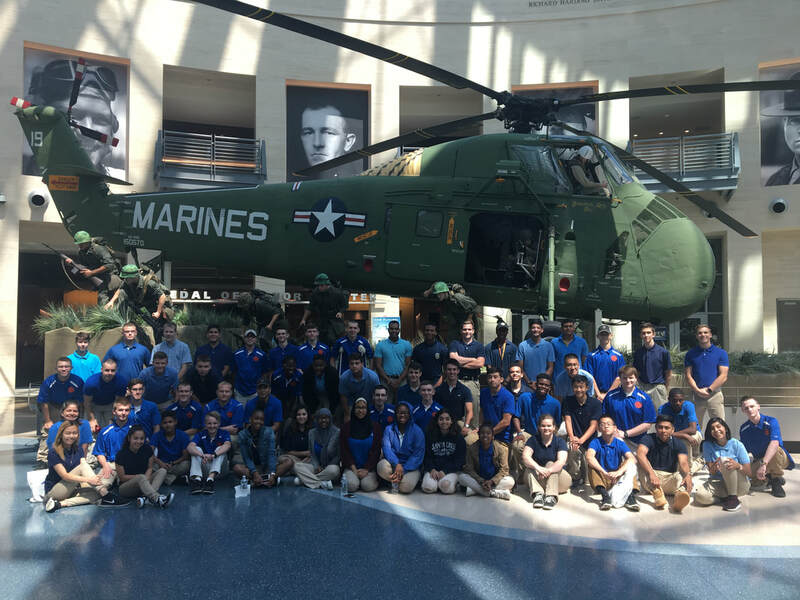 J. R. Tucker MCJROTC Cadets participate in a wide array of school activities, clubs, sports teams and academic societies. 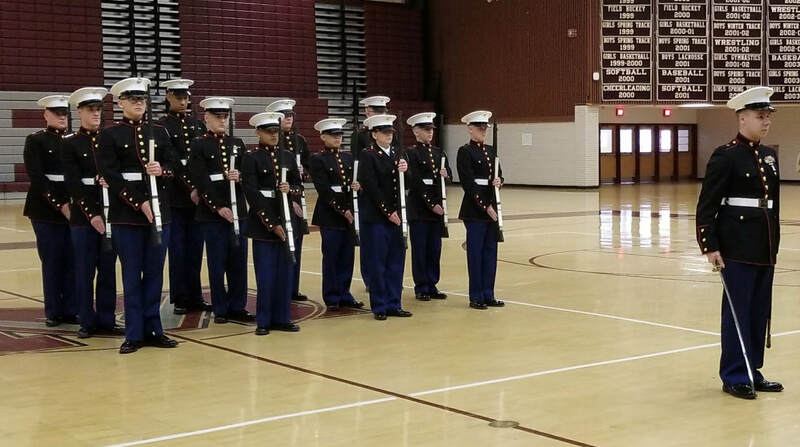 Our Cadets participate in the Marching Band, the Beta Society (3.0+ GPA), various sports teams; Varsity Softball, Varsity & JV Football, Varsity & Freshman Baseball, Varsity Wrestling, Cross Country and Track. Become a part of something truly special and lasting!